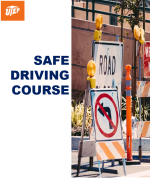 This course is presented by a state-licensed instructor, meets the mandated requirements to operate university vehicles. Addresses the issues surrounding Workplace Violence. Participants will be able to recognize warning signs and preventative techniques. Let’s all be part of the solution! This course offers a review of UTEP’s policies regarding sexual harassment, sexual misconduct, consensual relationships and equal opportunity. Helps community members understand how to support victim-survivors of Sexual Assault and Abuse, how sexual violence impacts everyone in the community, and how to be part of the solution to ending sexual violence. Learn the 4 different types of risks and safety tips as well as information on free police services. 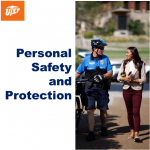 Learn how to respond in an active shooter situation and your role as a UTEP employee. Participants will become familiar with the Jeanne Clery Act and understand their prospective role as a university visitor, student, staff or faculty member. Learn about the warning signs associated with Dating Violence how the cycle of violence perpetuates itself and identify on/off campus resources available to victims.